Thirsty Pilgrim: Belgium Gets a New Gueuze Blender. I'm not sure when a new lambic blendery becomes official, but the day when Pierre Tilquin bottles his first blend--which he expects to do sometime in December--is as important a mark as any other. Being featured in the next edition of LambicLand surely doesn't hurt either. 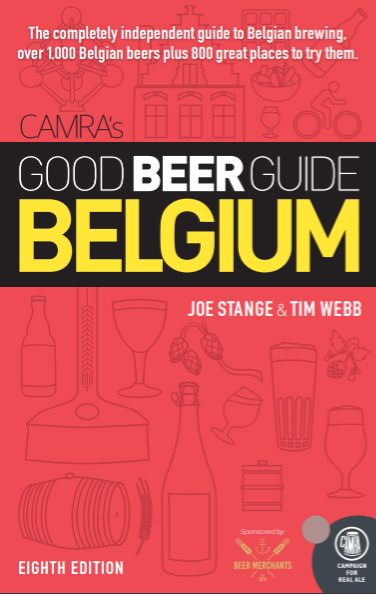 Just in case you seek more signs that lambic is enjoying a renaissance, then consider this: The Gueuzerie Tilquin in Rebecq will be the first new lambic blender since 1997, when De Cam started in Gooik. It will also be the first in Wallonia, although Rebecq is a leisurely bike ride from Boon in Lembeek. Lambic's modern homeland has been Brussels and the surrounding Flemish Pajottenland, and its supporters have occasionally advocated an appellation controlée. In other words, if you made it outside of that region you would not be able to legally call it lambic. Expect Pierre's product to be a powerful counterpoint. Brewers in the U.S. and elsewhere making beers with spontaneous fermentation might want to take heed. Blending is not yet Pierre's day job. Until October 1 he had been working full-time as a statistician in the marketing department of a local bank. Currently his banker's hours are half-time as he transitions into making his dream a reality. 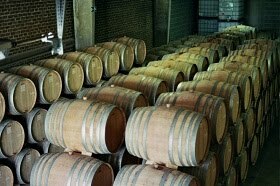 If you're into lambics, then this will mean something to you: Pierre has 222 former Bordeaux casks, each holding a bit less than 400 liters of Boon, Cantillon, Girardin or Lindemans base lambic of various ages. The odd one there is Cantillon, rarely seen in blends outside of Brussels. While Pierre used to work for Cantillon--and I know he has a soft spot for the place--we can safely suppose that he knows exactly what he's doing. We'll find out for sure next summer. Thanks to Pierre for sending the photo and logo. If only the rest of you were as thoughtful as he is.